Cancel and reduction in numbers free of charge up to 96 hrs before check-in, else 100%. Our rooms are extremely comfortable, spacious and well illuminated, with two of them having access to a lovely balcony. The rooms have the private bathroom is in front of the room. Whilst relaxing in the dining room, you will be able to use our brochures to discover the well-known, as well as the unusual, sights of Palermo. We want not only to provide you with a friendly and relaxing place to stay but also with helpful and precious advice. As a tourist, it is not always easy to know where and where not to go, but at Kemonia, we will ensure that you do not have to work it all out by yourself! 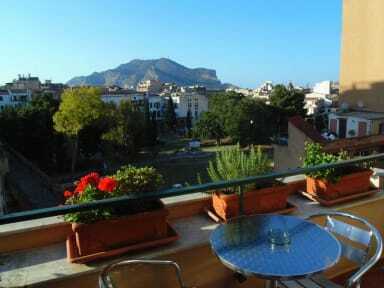 We are situated in the historical centre of Palermo. From this central location, you can easily reach the Massimo and the Politeama theatre by foot. If you fancy it you could also dive into the folk district of Capo, by going through the Porta Carini (the oldest of the three gates that stand alongside the northern side of the city).